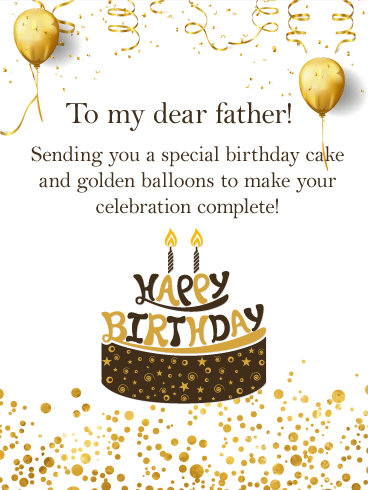 If you are someone who loves sending cards on special occasions because it's an opportunity to tell the one you care about how you feel, then you are in luck! 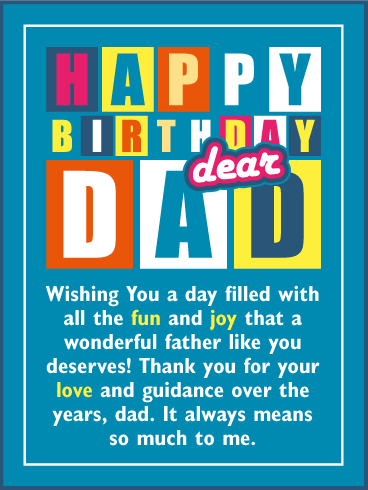 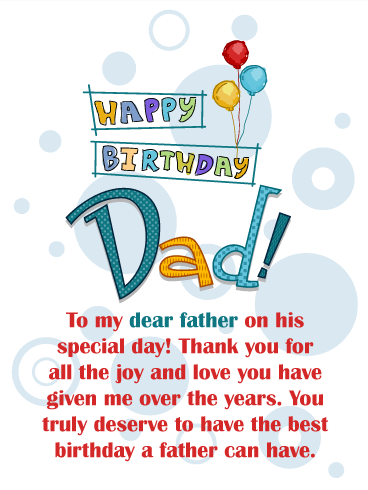 This birthday card will let your father know you simply want to say I love you and happy birthday! 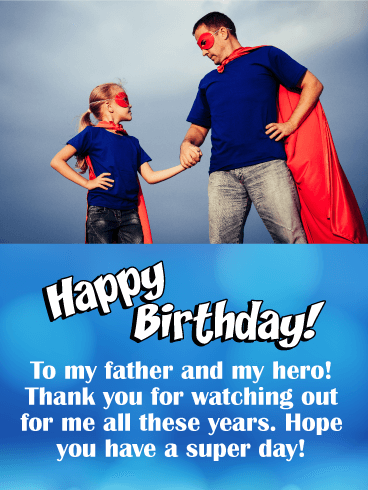 It's to the point and what every father would want to hear from their child. 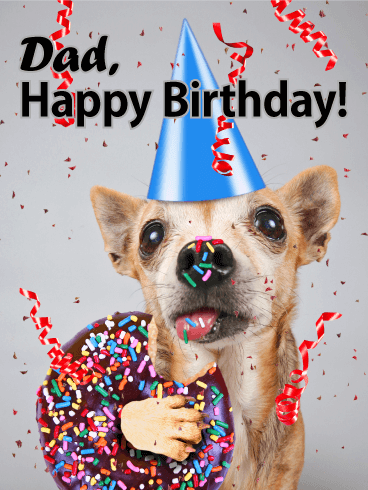 This festive birthday card features presents and colors that a dad would certainly love! 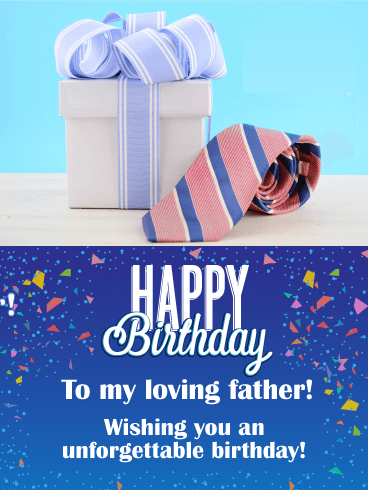 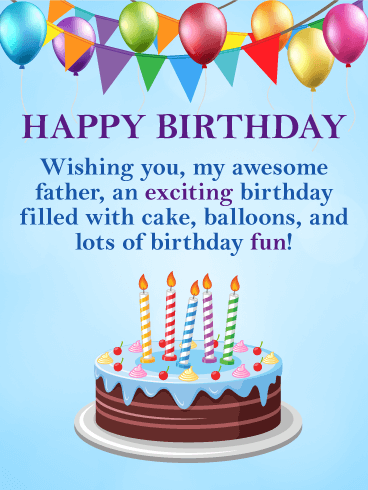 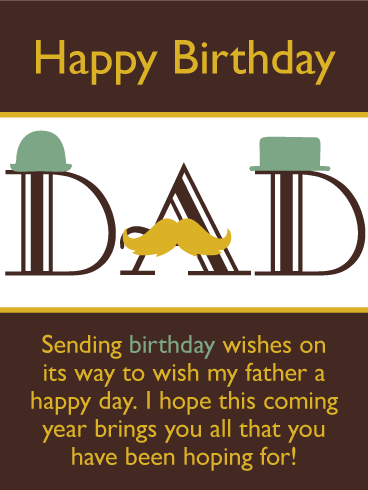 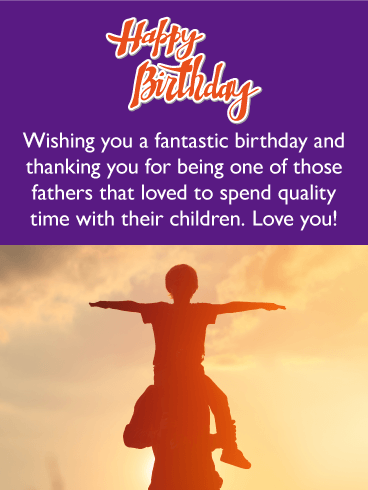 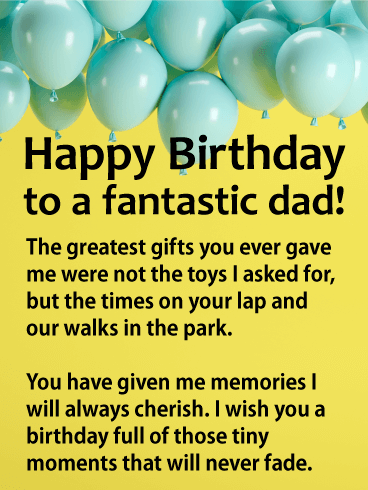 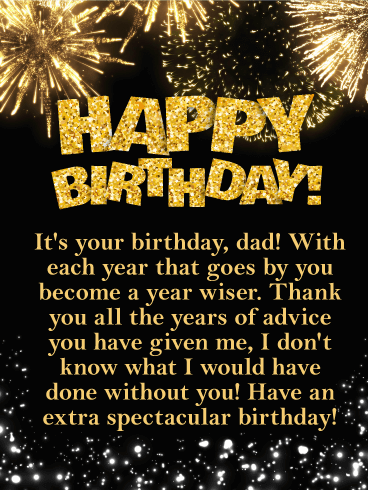 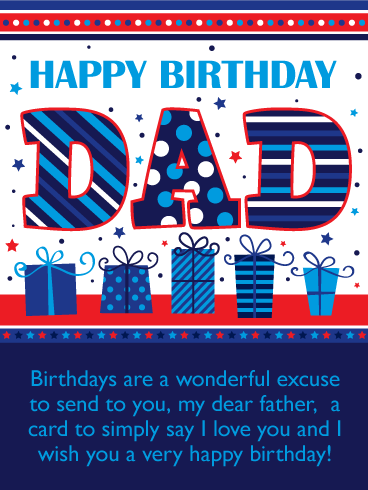 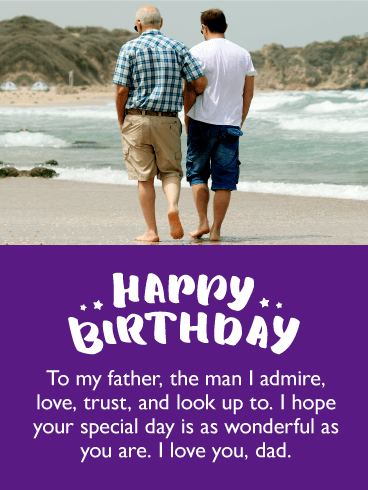 HAPPY BIRTHDAY DAD - Birthdays are a wonderful excuse to send to you, my dear father, a birthday card to simply say I love you and I wish you a very happy birthday!